We are having a cracking day in Edinburgh. Actually the past week has been about as perfect as autumn days get around here. Leaves are bursting into crimson, burnt umbre and magenta flames before falling under foot; the sun is beautifully low and soft in the sky, while the breeze is almost non-existent. And of course there is the frost. Not quite nipping at our noses, but necessitating digging out hidden away gloves and scarves. Being from Florida I still get a wee thrill when cool temperatures combine with clear, crisp air. Just now my Miss R (a keen sunset watcher) dragged my away from my computer to stand in awe at yet another heather-pink sunset, all molten and oozing across the horizon. You can take your summer with its ice cream cones and flirty skirts. I’ll happily slip on an over-sized woollen sweater and pad about in my dog-eared moccasins, thank you very much. All the better to indulge in some autumn comfort foods 😀 But first, I will share a last salad with you. Not a frilly pants lettucey one, but a hearty, chewy salad featuring cauliflower, kale, runner beans and even some creamy, almost coconutty cobnuts. 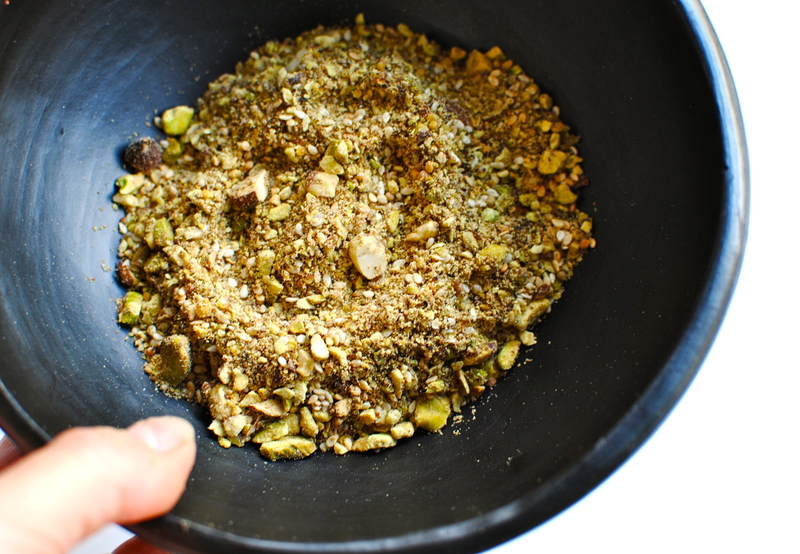 All mixed with lots of sturdy herbs and one of my all-time favourite seasonings – dukkah. Probably many of you are familiar with dukkah (or duqqa), but if not, it is definitely worth familiarising yourself with it. Dukkah basically is made up of toasted Middle Eastern spices pounded together with nuts, usually hazelnuts, and is capital D-licious. Funnily enough, although Egyptian, I just clocked that it pronounces very like the Scottish colloquialism for ‘dunk’ – ‘dook‘. 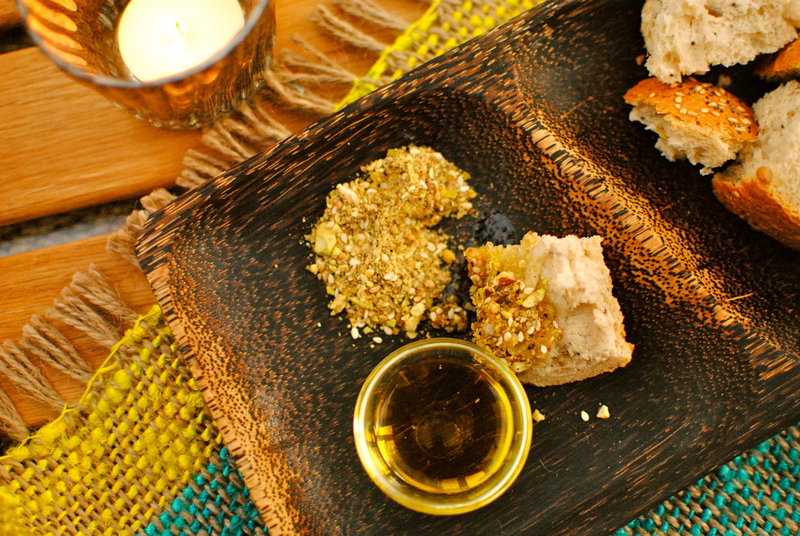 And that is what you do with dukkah: you ‘dook’ a piece of oil-dipped rough bread into this moreish concoction and go ‘ah’. Dukk -ah. Get it? Of course you do. Although mainly used as a dry dip it is also fantastic in and on many other foods – in hummus, as a seasoning for any fried or grilled meat or fish (both as a coating and as a finishing touch), roasted vegetables, in salad dressings, baked into and on breads – flat or yeasted (try it in this fluffy naan recipe from An Edible Mosaic), in savoury pastries with cheese, on pizza (with lamb – amazing), and in bean-based dips (here’s a fabby one from Yotam Ottolenghi). But my favourite use is still as a dunker. Super fresh chewy bread dipped in my best extra virgin olive oil and then in a pile of dukkah is one of my favourite treats. It is such a favourite I actually already have a recipe from last year that I used on a sweet potato tart. But this one is a bit different. Speaking of different, how would you like to do something different during the weekend of 19-21 October? 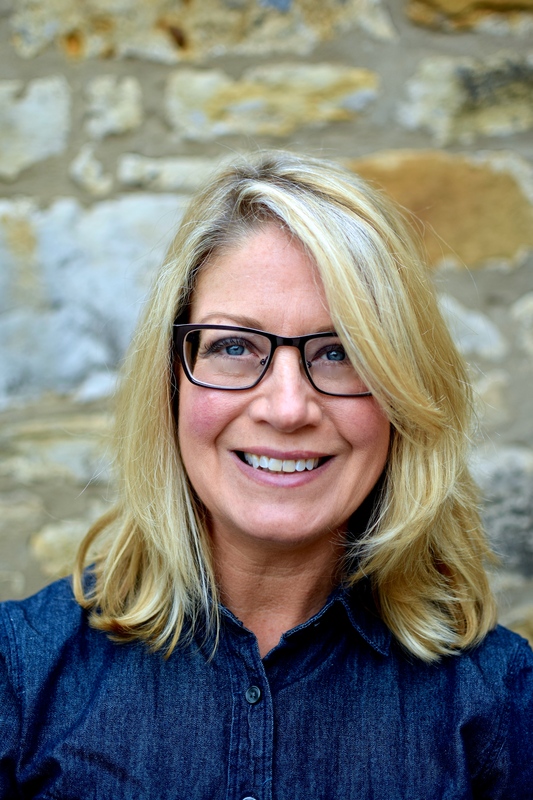 Instead of washing the car or raking the leaves, how about going to the BBC Good Food Show Scotland? Courtesy of show sponsors Plenty, I have THREE PAIRS OF TICKETS to give away to my lovely UK readers. On-the-door prices are £18.50, so this is an excellent freebie. You can use the tickets on any of the three days. All you have to do to have a chance of winning a pair is to leave a comment below, and/or tweet about this giveaway with a link to this blog. If you Facebook it, just let me know and I will have Miss R look out for it (I am a Facebook hold-out). Just so you know, it is at the SECC in Glasgow, and the prize is for tickets only, and there is no cash value. I will be picking the winners randomly this weekend. GOOD LUCK! Miss R’s Track of the Week: Jake Bugg’s ‘What Is Youth‘. If you do nothing today, please listen to this captivating set of verses from Shakespeare’s Romeo and Juliet as sung by Britain’s answer to Bob Dylan (his writing, not his voice). From a session with BBC Radio 1’s Zane Lowe. Hard to believe he is just 17. Roasting cauliflower seems to be a bit in vogue (not actual Vogue. That really would be something). It seems to be popping up all over the place in all manner of creative and funky ways. For years I have been doing it plainly with olive oil, and if I am feeling really wild, some turmeric, salt and lemon. But here I have put it in with other seasonal veg and given it a fairy dusting of magical pistachio dukkah. Like any seasoning, you can of course use a bought blend, but I like to do my own, to my own taste. And like a lot of my recipes here at food to glow, use whatever seasonal vegetables that take your fancy. The only thing that I would say is that it is nice to have a mix of crunchy and soft, bitter-ish (kale, cauliflower) and sweet-ish (cobnuts/any nuts and peppers). This makes enough for 4 as a main course salad if you serve it with bread and maybe some soup (try this if you are stuck for ideas). It would also be great with some grilled fish. In a bowl toss together the cauliflower, pepper slices and most of the oil. Pop these onto a baking tray and roast at 200C (400F) for 15 minutes, or until the cauliflower is slightly coloured. While these are roasting, boil a pan of water and add the cut beans. Bring back to the boil and simmer quickly for four minutes. 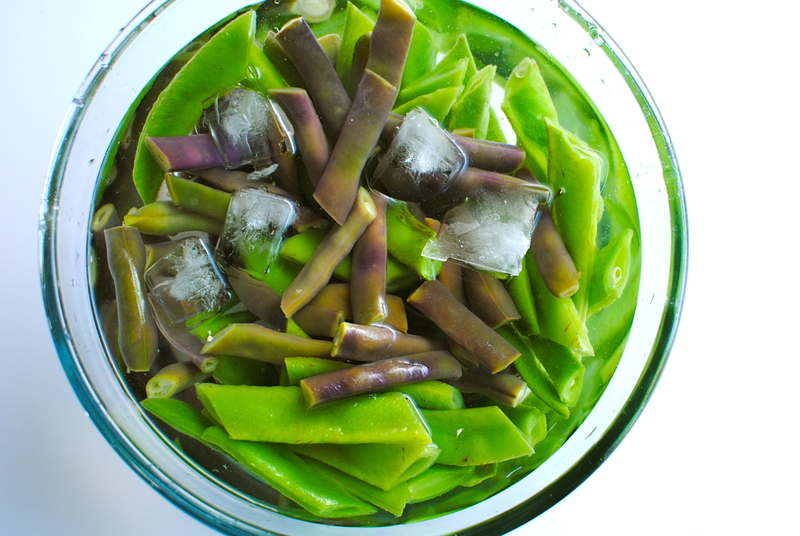 Drain and ‘refresh’ in iced water (see photo) to halt the cooking and keep the beans as true to colour as possible. For the purple beans I had limited success with colour keeping by heating a small amount of vinegar and dousing the beans before adding to the cold water. Drain and set aside. Here’s an interesting Food52 thread about why keeping colour in cooked vegetables is so darn hard. For the kale, either keep it raw or slightly sauté the strips in the remaining oil until soft – about five minutes. As for the cobnuts, peel off the husk and then take something hard to crack the shell – I used a wooden garlic smasher. Just whack it lightly to crack the shell and it should be easy to get the nut out: it’s a soft, peelable shell. Or you could use hazels (of which cobnuts are closely related) or almonds. 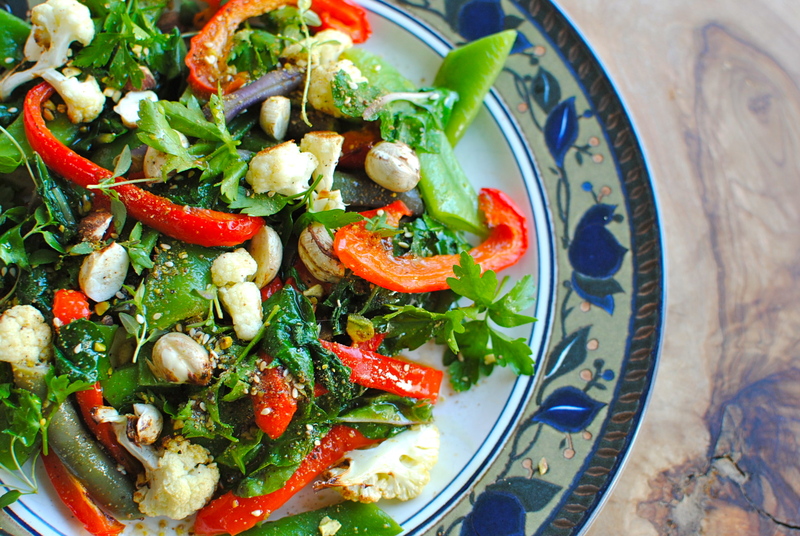 Toss all the salad ingredients together, adding in the vinaigrette and dukkah. Serves 4. This is gorgeous with fresh bread and some smooth soup. Heat a dry frying pan and add in all seeds but the sesame and dry toast for 30 seconds, then add in the sesame seeds for a further 20 seconds. Use a pestle and mortar to crush everything but the pistachios. Once everything is fairly uniform in size and smells incredibly fragrant, add in the pistachios and crush so that the pistachios look like the smallest of pebbles. Let the dukkah cool before storing in an airtight glass jar. Add all ingredients to a clean, lidded jam jar and shake to emulsify. I was going to email you! Can you let your friends know about the giveaway? I’m not sure how many Scottish readers I have and would love to plenty of entries. Cheers Miss Emma. Re dukkah: M&S carry it (in their fancy foreign section) & Steenberg’s do one I think. But it is very easy to do yourself. Even a stripped down version with just nuts, oregano, cumin & pepper will taste great. Thanks Laura. I like cauliflower all ways but roasting really makes it sweet & nutty. Mmm, how delicious – I wish I had this in front of me right now! Cobnuts are new to me (I always learn something here!) and I thought they were some kind of Southern corn related thing from your homeland when I read it! I have since clicked the link so am fully informed now and feel I ought to have know about them considering them are native to uk! You’ve made me so hungry I am off to fix lunch…. WIsh I could be there to attend…sounds like fun! Don’t know that the cost of the flight over would offset those free tickets! LOL! Love the salad…we still have lettuce growing for another month here, so I’ll keep eating that for a while and enjoying the garden’s goodies. I just learned of Dukkah a few years ago and have yet to make it. I need this – sounds amazing! It is great to have in the cupboard as it enlivens all manner of things. I have been on a spice mix making frenzy of late, clocking up togarashi, this one, creole blend, taco blend (a lot less salty than bought kinds and I add mint), and my old standby, za’atar. Dukkah is one of my favourites though and so easy to knock up. Bought ones cost the earth so I feel quite smug with my old jam jar full of the stuff. Kellie, that dish looks so delicious. You have really given me the incentive to roast cauliflower the next time I buy it. Beautiful pictures. Thank you so much Jacqueline. Roasting really transform cauliflower, but it does still make the kitchen a bit pongy (but doesn’t taste pongy, I should add). Thanks re the photos but I am going to try and learn how to do post-processing because they could sure be a lot better! Recipe looks fab, can’t wait to try it. Thank you – it’s not bad! My family are coeliacs, so I am always looking for new healthy gluten free recipes to try and this look fab. Please have a look at some of the other recipes. I’ve got quite a lot of gluten-free recipes and ones with gluten free options. I’m not coeliac but my b-f’s son is so I always have them in mind when creating new recipes, and adapting other ones. Yum..just the inspiration I was looking for so Saturday supper is now sorted .fantastic 🙂 I’ve not come across dukkah before and I really like all the ingredients … I will be returning here again ! That’s brill, Christine. I love to hear from anyone, but especially first-time viewers. Check my index for other salad ideas. I wish I could go! I would love that! Alas, the united states holds me back 🙂 I have had Dukkah just once and loved it! Now that I have a recipe to follow I may make it myself. Yum. lovely recipes! also i’d love to go to the good food show! I have been enjoying absolutely everything about fall…it is by far my favorite season! Kale is something I can’t seem to get enough of lately (we really are on the same wavelength, lol!) and I know this beauty of a salad will make it onto my menu soon. The use of Dukkah is brilliant here! Thanks Faith. Despite age and country differences we really have a lot in common. I would love to have your knowledge and first hand experience with middle eastern food. One day…. The dukkah does finish the salad beautifully. I will have to try it. Dukkah is a fab asset to the store cupboard. Super on loads of things – vegan and not. And customise on the nuts. 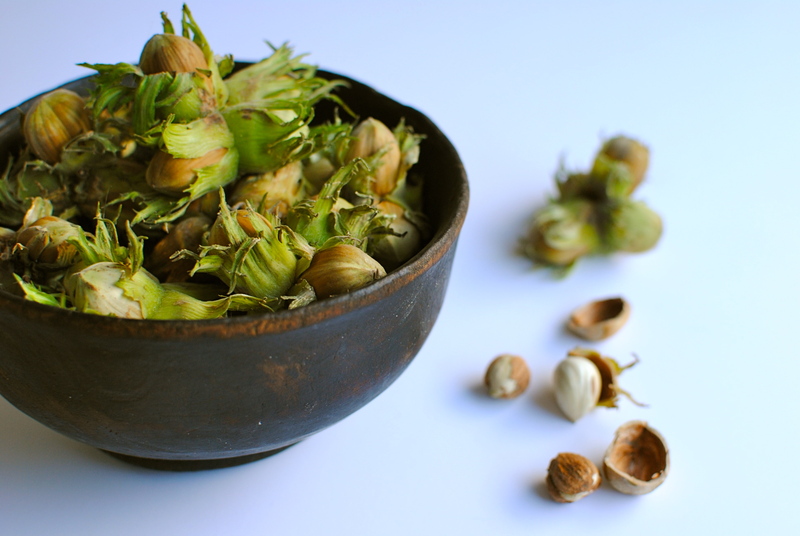 Hazelnuts are common but as I don’t like them (and they don’t like me – so we are even!) I use pistachios. 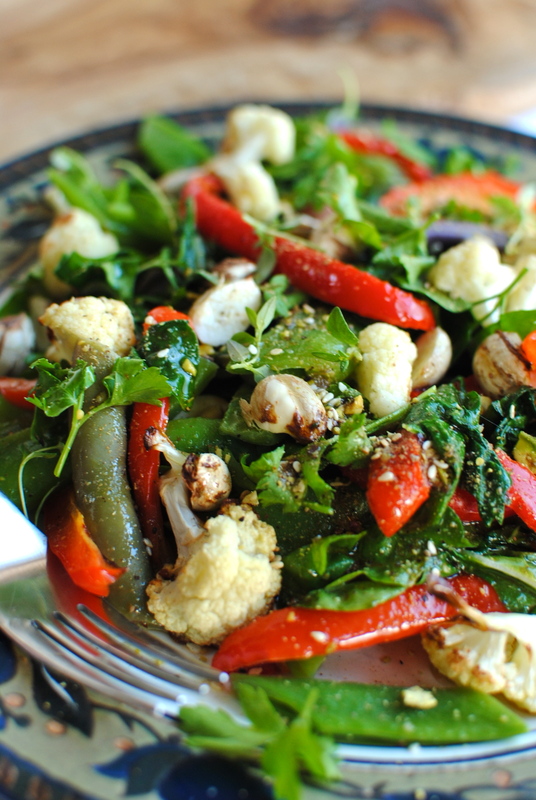 Oh my goodness, what a fabulous salad & the dukkah really does sound divine! Dreaming right now of a bit of your glorious Scottish fall weather, as the thermostat is supposed to hit 90 F tomorrow…not exactly woolen sweater & moccasin weather…Enjoy! Right now I am in Florida where I am most definitely NOT wearing a sweater! 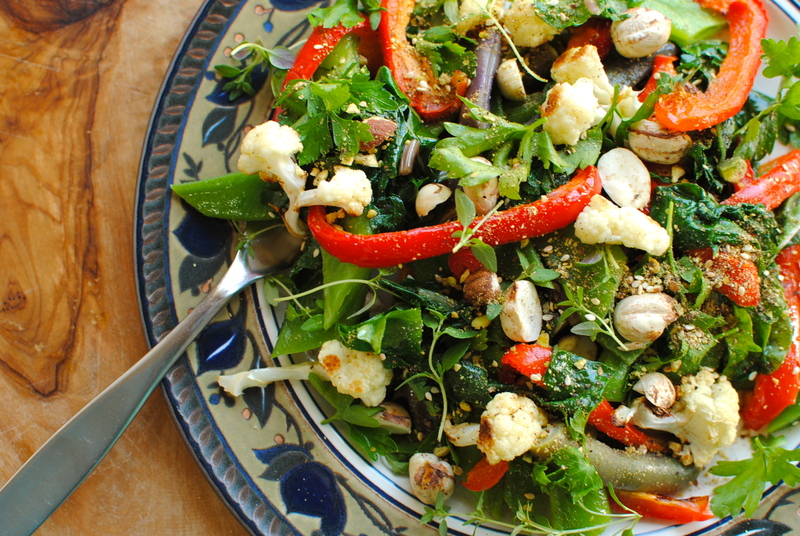 Dukkah on a fall salad is good but it is useful on most savoury dishes, whatever the weather. This looks lovely, and I am really intrigued by the dukkah. I have a feeling it will become a staple around here.